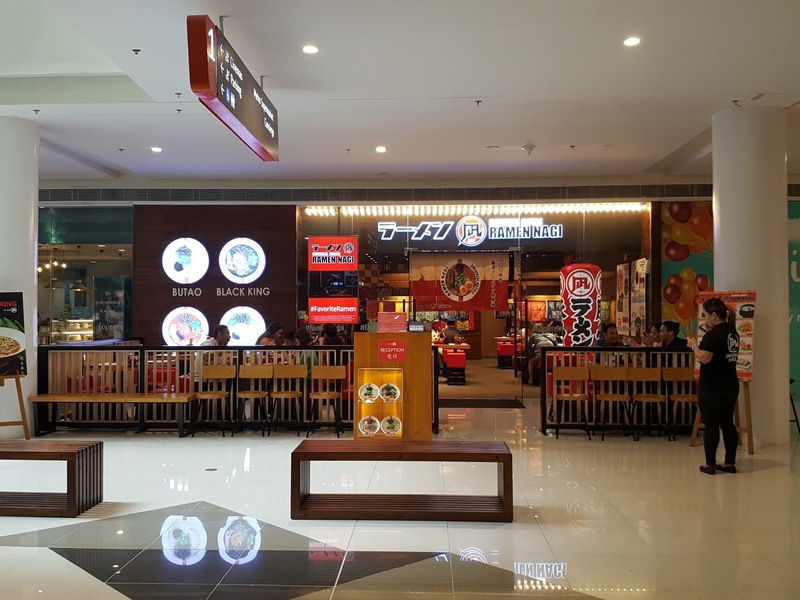 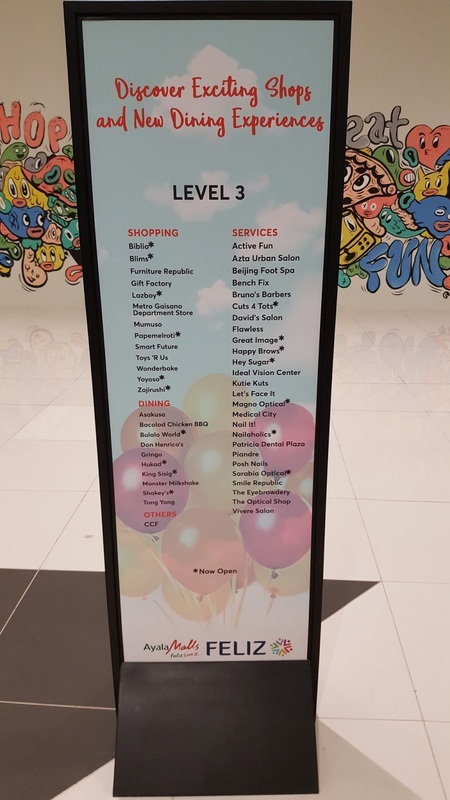 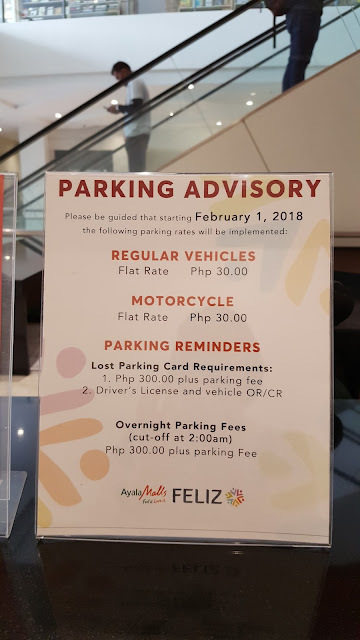 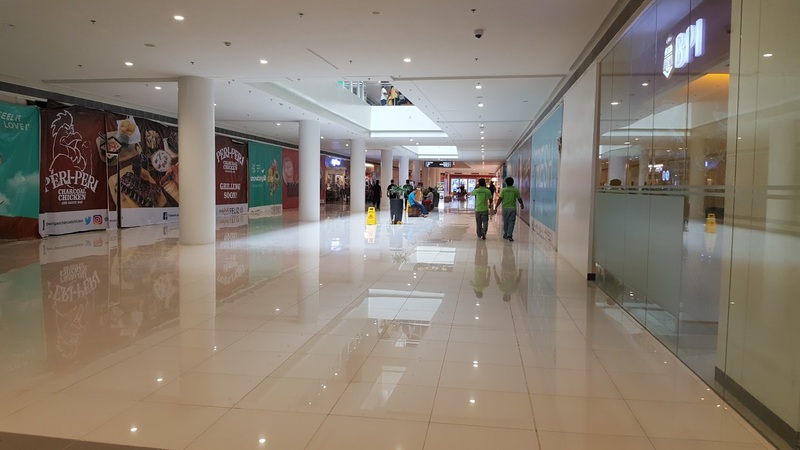 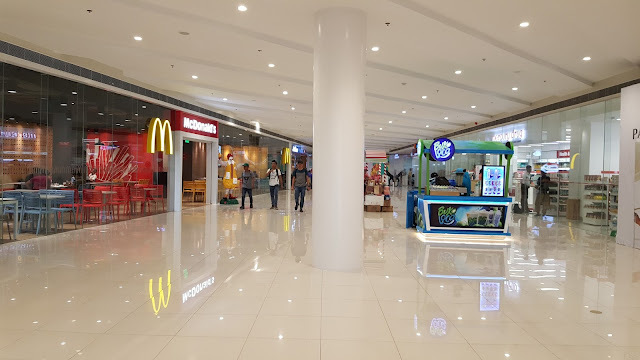 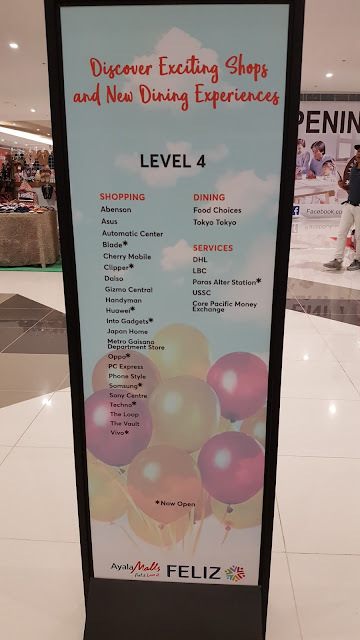 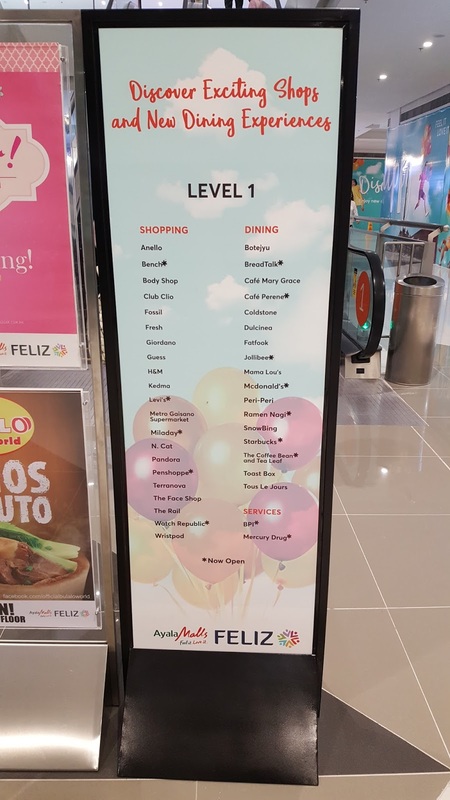 Here are the list of stores opening at the new Ayala Malls Feliz along Marcos highway, Pasig, which opened last December 2017. 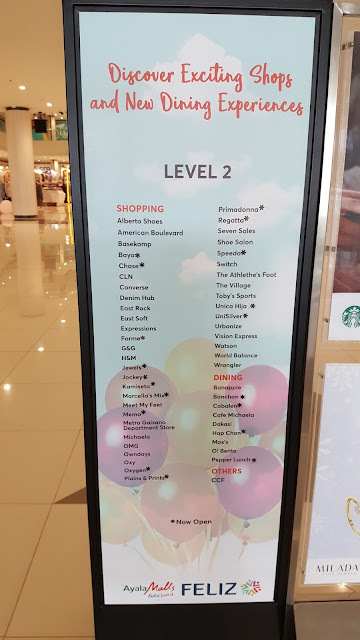 Not all stores are open yet. Only those with an asterisk before its name are currently open.